 WFIX 91.3 FM "The Fix"
The Fix is one of only a handful of 100,000 watt Christian stations in the entire nation! But, much more importantly we are now ministering to hundreds of thousands of people in an area of over 1,000 square miles. Many of you have been there every step of the way witnessing every triumph and obstacle this ministry has faced in the past 10 years. It simply couldn't be done without your help. You are the core that keeps this station strong. Click here to post on The Fix Prayer Wall. Follow this link for a FREE download of the "Cruising Through The Word" Devotional mp3's from Eric Crews. You can hear Eric Crews and "Cruising Through The Word" every Friday Morning at 7:40am on "The Fix!" thefix913 @Motes_Debra thanks! Glad you had fun!